Are you planning to attend Australia’s largest construction expo - Diesel Dirt and Turf Expo this year? If you are, come by and check out some of the Kobelco excavators that will be on display at Site 84 by our dealer, Sydney Trucks and Machinery (STM)! 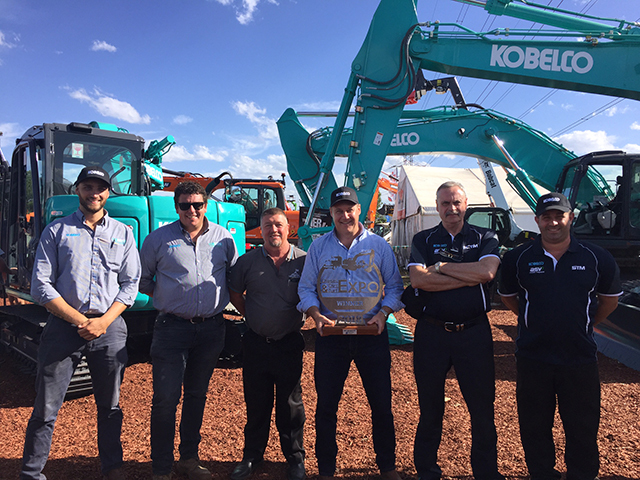 “STM is the proud Dealer for Kobelco from south of the Hawkesbury to Canberra and we look forward to showcasing our equipment at the show this year – we have some exciting models and offers on display for 2019,” says Mark Johnson, Sales Manager at STM. This event is held from the 3rd of May to 5th May at 123 Mulgoa Road, Penrith NSW 2750. The National Diesel Dirt & Turf Expo is a family-friendly event designed for the earthmoving industry with great food and entertainment for the whole family. The team at STM will also have some Kobelco merchandise to hand out at the event so swing by Site 84 to check out the Kobelco products on display, grab a brochure and speak to the friendly staff on site!